Hope you are both well and being kept busy in the studio . We finally got Brodie framed and are delighted with the finished article. We went for a darker frame with a touch of gold which looks really nice with the pencil drawing. It really does look beautiful on the wall and your work has been admired by all our visitors. 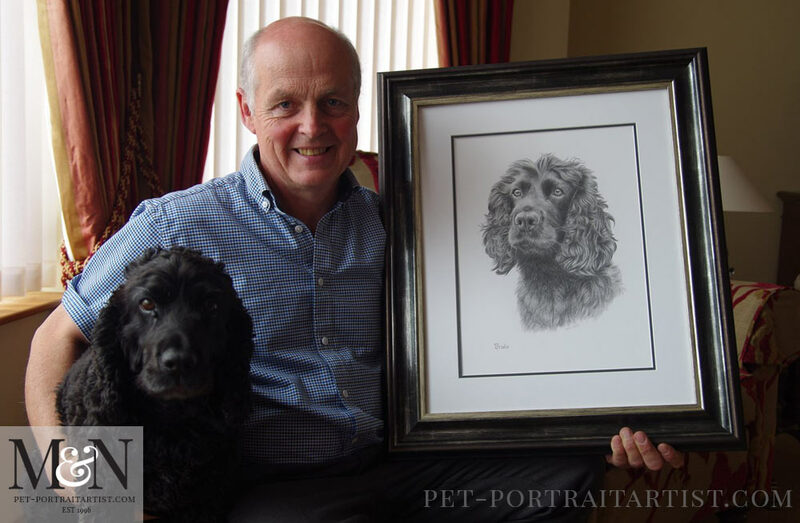 My husband really loves the picture and is amazed how you have captured the likeness of Brodie from the photo. Thank you again for all your help and advice. 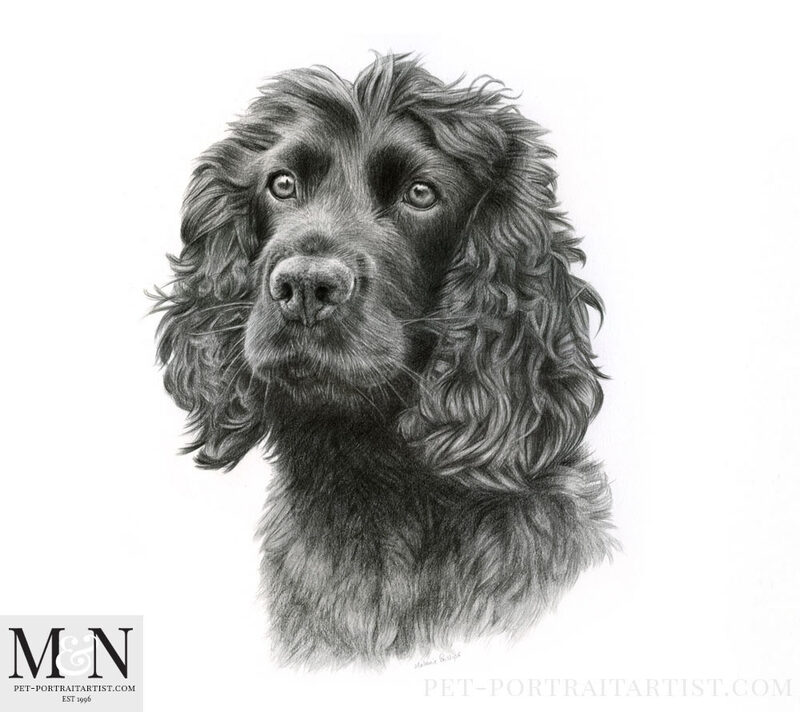 Spaniel Pet Portraits – Happy Clients! Dave and Brodie very kindly posed with the portrait for photos. How amazing! I cannot thank Dave, Brodie and Sandra for taking the time to do a photoshoot for me, I was utterly delighted to receive them. These will look absolutely stunning on my website and I am going to schedule some time in soon to update my site with the photos. I also have a number of new pieces of artwork to add and Brodie will be there too. The frame is beautiful and I really love the overall warm dark tones and gold edge. The dark inner mount really sets off the drawing too. It is absolutely perfect. 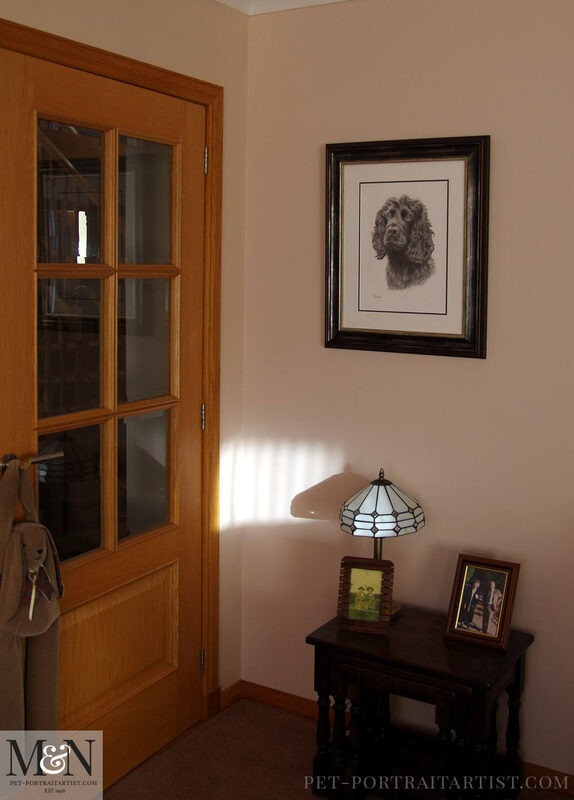 The second photo below shows the portrait in pride of place in my clients living room and as you can read in Sandra’s email above it has been admired by visitors already. I am over the moon and love a very happy ending to the story of this portrait. Additionally the photos below show the portrait when it was completed just prior to packing and sending to Sandra. I took some photos along with my pencils to show scale. It’s really great taking photos of the portraits like this as it does show them off better than the final scans. 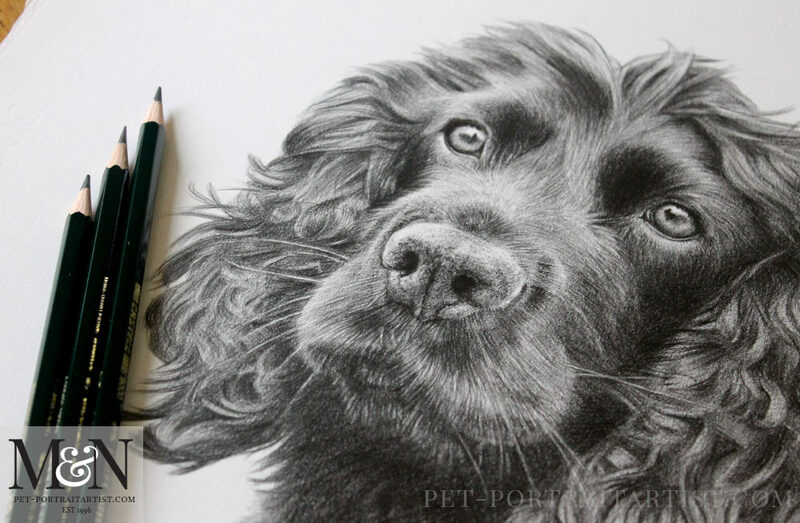 I hope that you have enjoyed viewing my spaniel portrait in pencil. 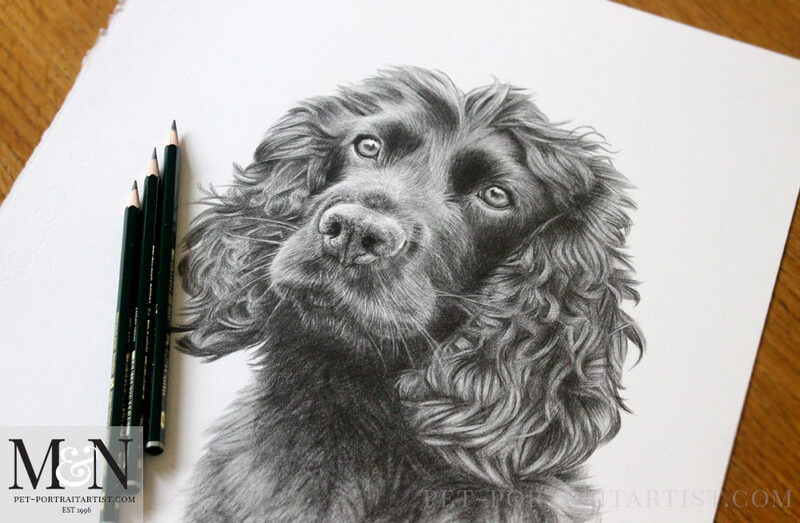 If you would like me to draw your Spaniel just drop me a line. Visit my pencil portrait website and email me at any time!